We all want to provide our pets with the best feeder possible. However, the dog bowl stands seen at the big box stores don’t compliment our home’s décor. To give you a more pleasing choice, byDakor has created a dog feeder stand that looks like a vintage trunk or antique crate. 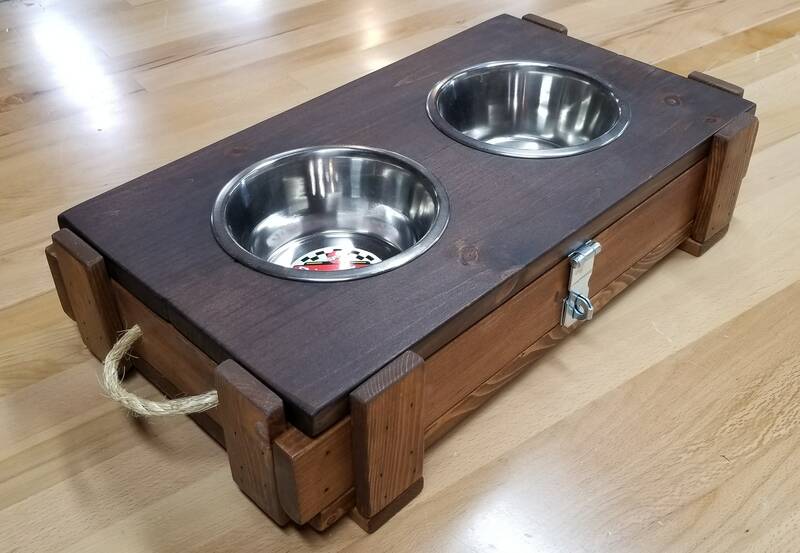 If you are looking for a finely crafted pet feeder for your discerning pet, and want something that looks like furniture, you won’t be disappointed with your new wooden crate pet feeder. 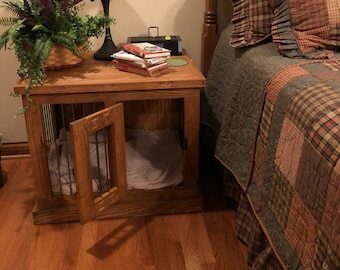 Please note that every dog crate feeder is unique, so each product may have slight variations making it look slightly different than the product picture. 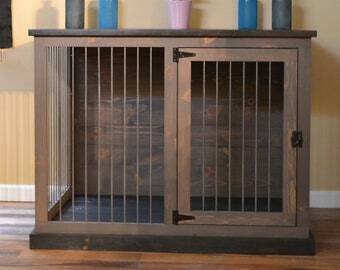 We can customize our dog feeders to your liking, including height, width, depth, and number of bowls. Feel free to convo us to get a customized quote. We would love to hear from you.